Survey in Ontario lists yard work above all to be the most back-aching activity during spring and summer months. If you’re leaving the house on Monday morning with a beautiful yard and an aching back, you’re not alone. A survey of over 500 chiropractors in Ontario, Canada, showed that yard work is the number one cause of back complaints from their patients at this time of year. In the U.S., reports on the National Agricultural Safety Database (NASD) state that injuries from overexertion, lifting, pushing or pulling are the most frequently-reported types of farm-related injuries. And a similar situation occurs with the weekend gardener whose flower bed or tomato patch is his or her farm. Deborah J. Read, MOTR/L, whose work as an occupational therapist has found her developing ergonomics programs and recommendations in regard to landscaping work for businesses in the Seattle area, is regularly on the lookout for ways to prevent gardening-related injuries before they happen. Tool manufacturers, says Read, are making huge improvements by modifying tools and handles and developing systems that can mitigate some of the musculoskeletal disorder (MSD) risk factors associated with pulling weeds or raking the yard. Special grips are available, long-handled tools come with modifications to lessen the strain on the back, power tools are being created to emit less vibration, all of which can offer greater comfort and injury prevention to a professional landscaper. But, says Read, one of the problems for the home gardener is that oftentimes an injury is sustained before the homeowner decides to take what should have been considered a preventive measure. In response to the results of their seasonal back-pain survey, which put gardening ahead of golf and outdoor sports in general for causing back pain, the Ontario Chiropractic Association (OCA) is partnering with the Ontario Horticultural Society, the Garden Clubs of Ontario and Sheridan Nurseries to supply weekend gardeners with information regarding safety while working in the home garden. Currently, the association is providing details on the long-term implications of gardening and tips for more comfortable gardening on their website (www.chiropractic.on.ca). In addition, more information on ergonomics for the gardener as well as an overview of products intended to help the weekend gardener will be available in the July 2003 issue of The Ergonomics Report. 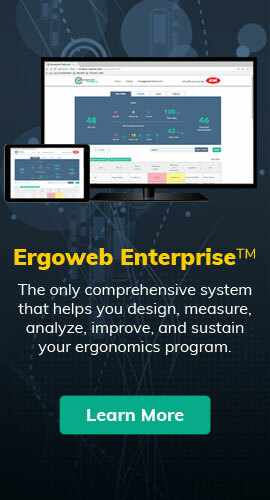 Visit www.ergoweb.com/publications/er to sign up for a free trial issue.